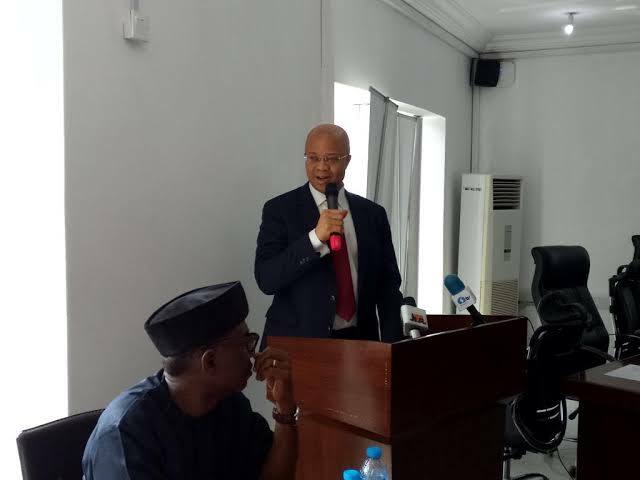 The Director-General, Budget Office, Mr Ben Akabueze, has said that the Federal Government has made provision in the 2019 budget to boost energy sufficiency, so as to reduce unit power cost and boost private sector investment. Akabueze stated this in a paper entitled, ‘Business Opportunities in the Proposed 2019 Federal Government Budget: Prospects and Challenges for the Private Sector’, presented at a Roundtable on the budget in Kaduna. The forum was organised by Kaduna Chambers of Commerce, Industry, Mines and Agriculture (KADCCIMA), in collaboration with Budget Research and Development Policy Advocacy Centre and coalition of business organisations in Kaduna State. “The budget also set aside N153.6 billion to ensure energy sufficiency. The private sector can invest in new power generation projects, especially small scale off-grid projects. Akabueze, who was represented by Mr Gideon Mitu, Director Expenditure, Ministry of Budget and National Planning, explained that the focus of capital expenditure allocation in the budget was based on key priorities of the Economic Recovery Growth Plan. He identified the priority areas as agriculture and food security, transportation infrastructure, energy sufficiency and industrialisation with focus on small and medium scale enterprises. According to him, investment in these priority areas would be implemented in partnership with the private sector, as the drivers of economic growth. “About N90.9 billion is earmarked for achieving agriculture and food security, through the development of value chain across 30 different commodities including supply, production, processing, transportation, trading, marketing and export. The DG also said that N401.8 billion would be invested in improving transportation infrastructure, adding that some of the rail and road projects to be executed offer opportunities for public private sector partnerships. “Construction of new airport terminal buildings also provide opportunities for business activities at the airports. “Besides, private sector could invest in technological innovations that will greatly improve the operations of different transportation systems,” he said. He equally said that N73.1 billion has been earmarked in the budget to drive industrialisation by improving access to critical infrastructure and providing single digit interest loans to reduce cost of business operations. Akabueze said the budget was designed to reposition the economy on the path of higher, inclusive, diversified and sustainable growth, and to continue to lift significant number of Nigerian citizens out of poverty. “The Federal Government will continue to support initiatives that encourage small businesses to grow and create jobs through ensuring access to funding, supporting infrastructure and off-take arrangements by government and private enterprises,” he said. Earlier, KADCCIMA President, Hajiya Muheeba Dankaka, said that the forum was specifically designed to serve as platform for exchange of ideas and opinions on the 2019 proposed budget before the National Assembly. According to her, such interaction will improve understanding between governments and the organised private sector on the challenges and prospects of the budget. Dankaka called on the National Assembly to accelerate the passage of the budget to sustain the recovery of the economy for sustainable growth.